Marko Grujic could make his 10th start for loan club Hertha Berlin against Bayern Munich on Wednesday, less than two weeks before their trip to take on Liverpool. The Serbian has recently returned to full fitness after his second ankle injury since joining Hertha, playing the full 90 minutes in their last two games. 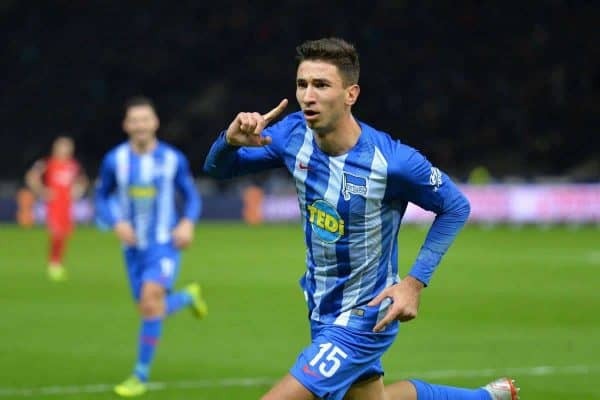 One of Dardai’s most important players, Grujic is likely to start in Wednesday night’s DFB-Pokal third-round clash with Bayern at the Olympiastadion. If he does, he will have a big opportunity to heap more misery on Niko Kovac’s side, who already suffered a 3-1 loss at Bayer Leverkusen on Saturday, ahead of the last 16 first-leg clash at Anfield. “Since I have been head coach, we have always taken the cup seriously,” Dardai told reporters on Monday. “We have always been knocked out by tough opponents, but we are not afraid of the task on Wednesday. We are looking forward to it. “We want to bring our quality and fast combination play to the pitch. We need to be more aggressive when without the ball. Meanwhile, Liam Millar will be hoping to make his first start as a senior professional when Kilmarnock travel to Dundee for their Scottish Premiership clash on the same night. The 19-year-old, who joined Steve Clarke’s side on a half-season loan on deadline day, made a late cameo in the weekend’s 2-1 loss to Hearts, and came close to scoring an equaliser with a headed effort. 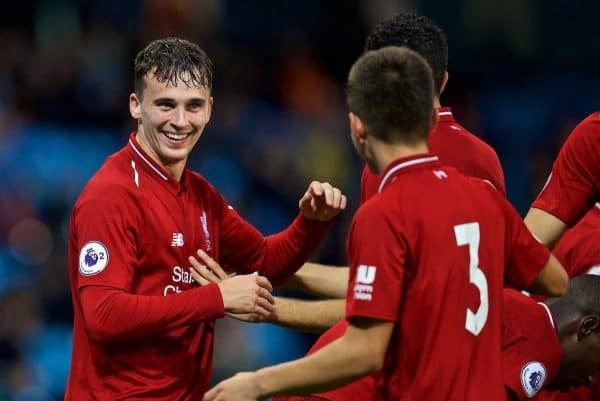 Looking to earn a long-term role at Liverpool, he told the Sunday Post that “getting first-team football is really important to develop as a young player,” and Millar will likely have been given assurances by Clarke. Dundee are currently 11th, one place from bottom having taken 14 points from 24 games so far, and this could provide a great chance for the Canada international to impress. 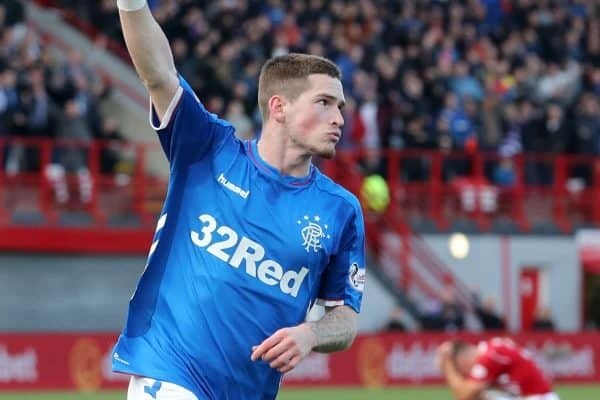 And in another big game in the Scottish top flight, Rangers take on Aberdeen at Pittodrie with Steven Gerrard looking for even more from Ryan Kent. Victory over the Dons would further strengthen Rangers’ title challenge, with Derek McInnes’ side just two points behind in third, and Kent could be key to their success in doing so. The weekend could see Millar and Kent face off, with Kilmarnock hosting Rangers in the Scottish Cup on Saturday, while Grujic and Hertha are also back in action at Borussia Monchengladbach that afternoon. 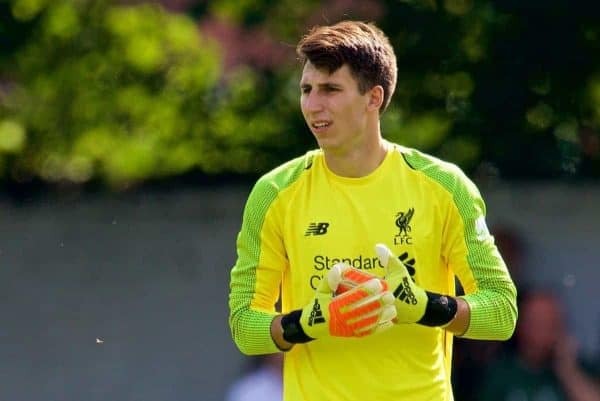 Liverpool should see the majority of their loanees in action at the end of the week, with Kamil Grabara and Pedro Chirivella looking for their first league outings for AGF Aarhus and Extremadura UD respectively. Nathaniel Clyne is ineligible for Bournemouth‘s trip to Anfield, however.